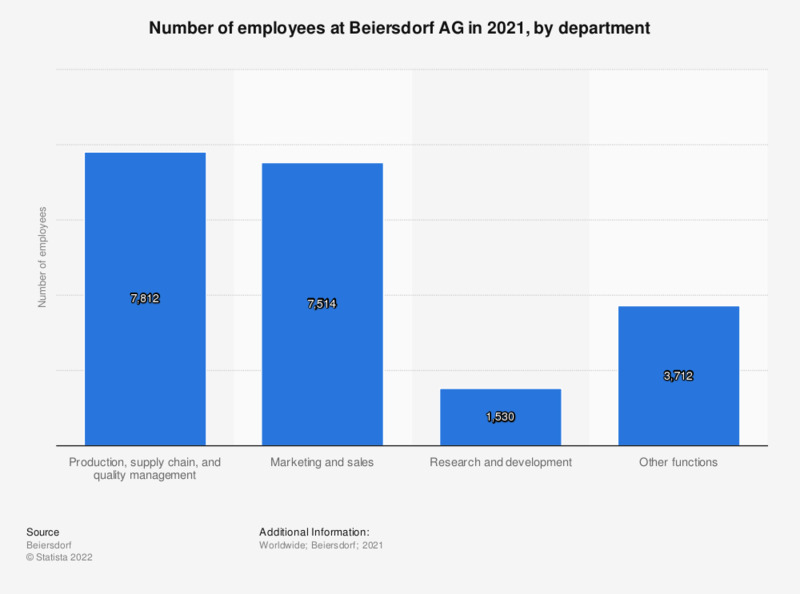 This statistic shows the number of people employed by Beiersdorf from 2011 to 2018, by department. Beiersdorf AG is a multinational corporation based in Hamburg, Germany, manufacturing products for personal care. In 2018, Beiersdorf employed 7,587 people as production employees.